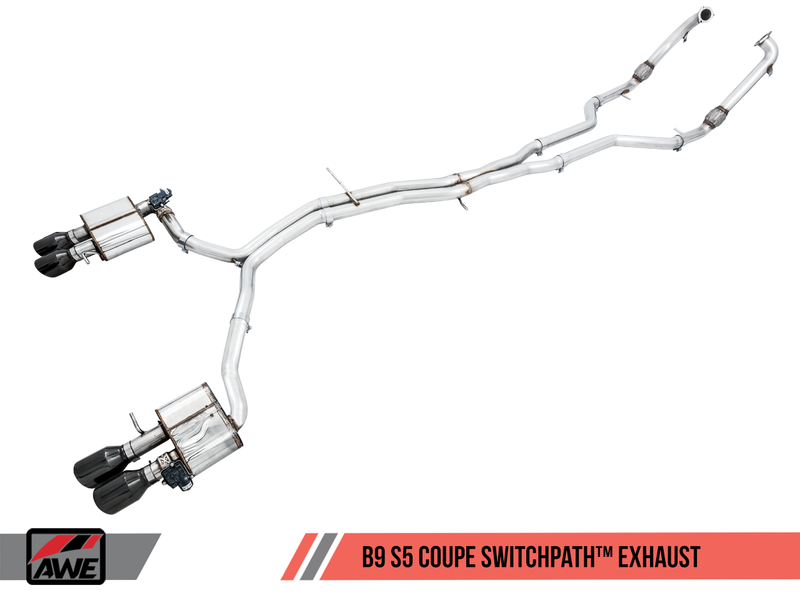 The long wait is over, AWE Tuning has announced the release of their SwitchPath, Track, and Touring Exhausts for the full B9 S4 and B9 S5 lineup! 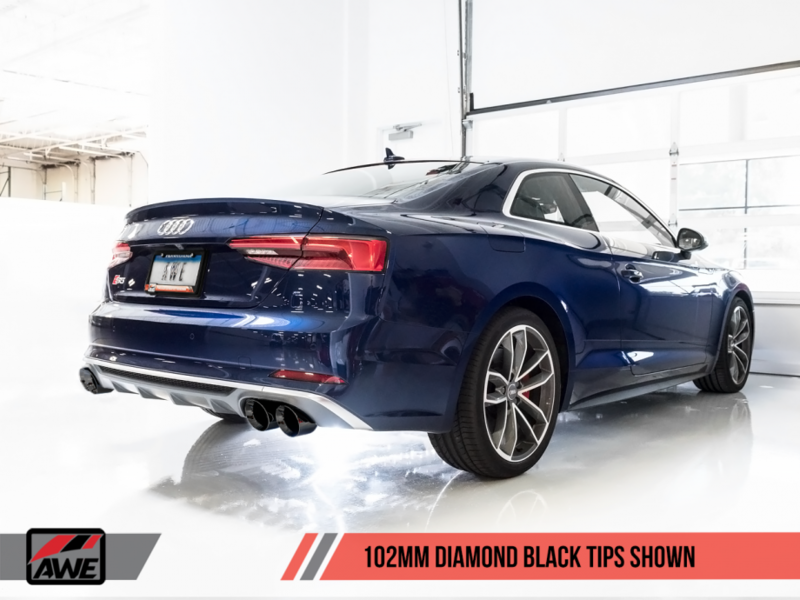 Offering three distinctly different setups to suit every audial taste; Touring Exhaust for those looking for a sophisticated sound, Track Exhaust for those looking to fully unleash the sound of the 3.0T V6, and SwitchPath Exhaust for those who want to switch on the fly between the two using AWE’s trademarked valving technology. AWE has stated gains of up to 16hp & 17tq thanks to a straight through 2.5″ mandrel bent design featured on all of their B9 exhaust systems. All editions of the exhaust include Downpipes, X-Pipes, and are available in either 90mm or 102mm tips with a number of finish options to choose from. In addition. all exhaust systems are compatible with both the standard differential or Audi Sport Differential. Proudly engineered, designed, and manufactured in the USA; the suite of AWE Tuning Exhausts are available now through Parts Score. To place an order or schedule installation, contact one of our exhaust specialists today at either 602 814 6543 or contact@partsscore.com. We offer shipping nationwide or professional installation in our Scottsdale AZ location. Shown here is the AWE Track Edition Exhaust, for those who want to unleash the full force of their B9 S5 or B9 S4. 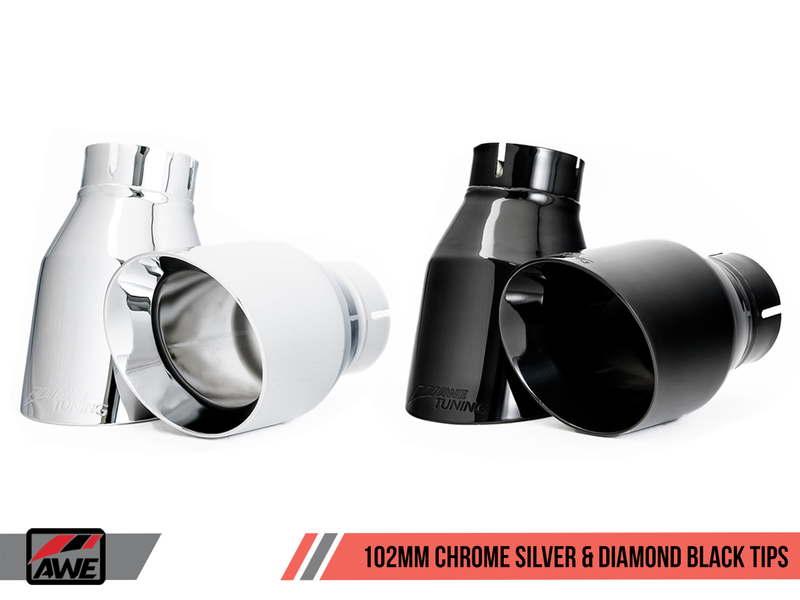 102mm Tips in Chrome Silver or Diamond Black. Also available in Carbon Fiber. 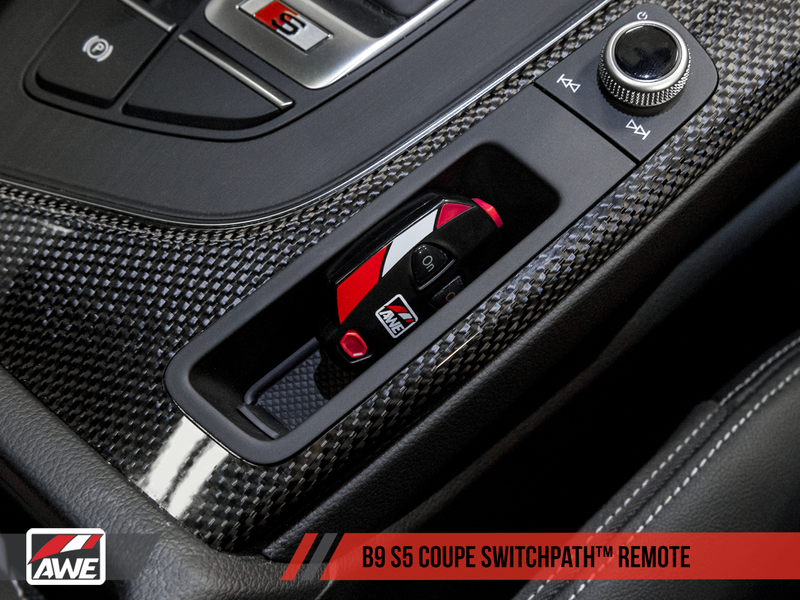 For those with the SwitchPath Exhaust, valve control is available through the factory driving mode switcher or through the optional purchase of a remote.